Perfection at the Yokozuna of Soba from Meiji times in Tokyo. Thinking about cooling down from the blistering heat and escaping Tokyo’s concrete jungle? Think no more and head over to Moriya Beach. This little chunk of Japan’s Pacific Coast is located in Katsuura, Chiba Prefecture, approximately 110 km from Tokyo and accessible either by car or by train (final destination is JR Katusaokitsu Station). It is a great spot for sunbathing, hanging out with friends, and cooling down with a swim around the reefs. If snorkelling is your thing, Moriya’s waters do not disappoint and you can catch a wide array of marine life, including some speedy squid and beautiful jelly fish (careful with those stingers). So wait no more and don’t let the hot weather get to you. Moriya awaits! 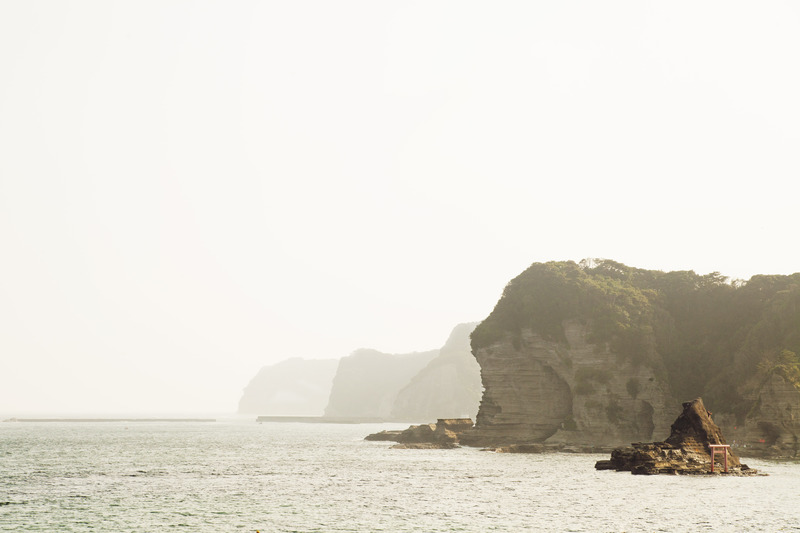 Feeling at peace on the coast of Chiba, Japan. If you are in Japan and haven’t made it to the beach yet…no worries! With temperature hovering around the 36 degrees (celcius) the summer is still on and the conditions are perfect for a visit to the Pacific coast of Chiba. Here’s a little taste of Moriya Beach at sunset! Escape into a colonial oasis in the Colombian Andes. Barichara is one of the few towns in Colombia where the government makes a clear effort to preserve the historical architecture and cultural traditions. Walk around town or hop on one of the few local motor taxis. Art and creativity are present all around town. Colour-coordinated house fronts and picture perfect flower gardens abound. The town’s decor is seamlessly orchestrated to the smallest detail. You will not go wrong trying some fresh baked goods on the go. Take the time and explore the magic of Barichara. Goat glazed with ant sauce…a delicacy and typical dish from the Santander Region. It is hard to avoid peaking through the many half- open doors wondering what stories lay within. If boutique hotels are your thing, be sure to check out this dreamy place. Visiting Barichara in Santander, Colombia, is like traveling back in time…a time when happiness meant enjoying the simpler things and really taking it one day at a time. It is a town that embraces the future without letting go of the past. Nestled in the middle of the Colombian Andes, Barichara is a place to disconnect from the fast pace that we have become so accustomed to. A leisurely walk around its cobblestone streets will let you discover most of what this Andean gem has to offer. You can wonder around in search of the perfectly hand-crafted art piece, peak through the half-opened wooden doors of the town’s endless colonial houses, chat with the ever so charming locals (including the mobile baker), or take the time to enjoy the delicious treats this oasis of creativity and peacefulness has to offer. If you do decide to make this a stop during your Colombian journey, I highly recommend you drop by the School of Arts and Trades. The school has wide assortment of crafts made by locals during free workshops offered in-house. Or if typical and mouthwatering food is what you are after, try the goat glazed with ant sauce at the Las Cruces Restaurant, also within the School of Arts and Trades. And if you are in Colombia or are planning to visit…please go to Baricharaa…taste of paradise awaits! Hacienda El Roble, home to an award-winning Geisha. As a coffee lover and drinker, I feel very fortunate to haven been able to learn about the coffee growing process and to have come in contact with the best coffee bean in the world. This pleasure came courtesy of the El Roble Coffee Farm in La Mesa de Los Santos, Santander, Colombia. El Roble can boast about having its very own Geisha, that is, the best coffee variety in the world as voted by the Grounds for Health 2013 auction in the US. Sold under the brand Café Mesa de Los Santos, El Roble’s coffee is not only 100% organic but it is a delicacy. A tour around the farm will set you back US$15 and includes a guided walk through the Coffee Garden/Museum, a look at the different varieties of coffee plants, a detailed explanation of the coffee growing process and of course a tasting session of the Geisha and other exquisite varieties. I highly recommend you add this to your travelling plans on your next visit to Santander. Being only a 40-minute drive from the city of Bucaramanga, El Roble is the perfect chance to learn about the drink that Juan Valdez has made famous all around the world. The land of the Guane awaits! Siendo un amante y fiel consumidor de café, me siento muy afortunado de haber podido conocer el proceso de cultivo de café y de haber estado en contacto con el mejor grano de café en el mundo . Este placer fue cortesía de la Hacienda El Roble, ubicada en La Mesa de Los Santos , Santander, Colombia . La Hacienda El Roble puede presumir de tener su propia Geisha, siendo esta la mejor variedad de café en el mundo según la votación en la subasta Grounds for Health 2013 en los Estados Unidos. Vendido en el mercado local bajo la marca Café Mesa de Los Santos , el café de El Roble es no sólo 100 % orgánico, sino también un verdadero manjar. Un recorrido por la hacienda le costará US$15 o $35.000 pesos e incluye un paseo guiado por el Coffee Garden/Museo , una mirada a las diferentes variedades de plantas de café , una explicación detallada del proceso de cultivo del café y por supuesto una degustación de la Geisha y otras variedades exquisitas . Le recomiendo agregar este tour a sus planes de viaje en su próxima visita a Santander. Al estar a sólo 40 minutos en carro de la ciudad de Bucaramanga, El Roble es la oportunidad perfecta para aprender sobre la bebida que Juan Valdez ha hecho famosa en todo el mundo . La tierra Guane te espera! Entering Geku, the center of the path must be left empty for the gods. Absorbing natures energy aids with the spiritual renewal. The new shrine, simple but beautiful. Pilgrims make their way to Geku to pay their respects. Geku Shrine nestled in the ancient forests of Ise. The simpleness and beauty of wood. If one pays attention to the details, a heart might be found. Walking into the Naiku shrine. A little cleansing of the hands to clear your soul. Thousands of pilgrims make their way to Naiku Shrine as part of the New Year’s celebrations. Pilgrims paying their respects to the shinto gods. Welcome to the Ise Grand Shrine, also know as Jingu. Without planning it, the visit to this very spiritual place ended up being one of the best highlights of a recent trip to Japan. Jingu is located in the city of Ise, in Mie prefecture. This is a massive complex of shrines spread out over 5500 hectares of land filled with the calming greenery of ancient forests. Geku and Naiku are the two main shrines and the principal reason thousands of japanese make the pilgrimage to Ise. I was fortunate to visit during the Shikinen Sengu (Year of Renewal) ceremony which occurs every 20 years and in which the old shrine is dismantled only to be build on an adjacent site. It was wonderful to see the simpleness and humbleness of the japanese devotion to Shinto. No matter what religious belief one might have, Ise Jingu is the perfect place to connect with your spiritual side while getting in touch with nature and its greatness. If you are planning a visit to Japan please add this to your list…I guarantee you will not be disappointed. A visit to the shrine clears to soul for the new year – Fujinomiya, Japan. Leave your bad luck behind and move into the future with positivism. People in Shirako Beach – Chiba, Japan. Catching the first sun rays of 2014 and a few waves along the way. Rise and shine in Japan. Catching the sun and the best wishes for the year ahead. Let the fun begin…Happy New Year! Osechi is a key part of the meaningful and spiritual New Year’s celebration in Japan. Otoso – Sake with Chinese herbs. Osechi – Happy New Year Japan! Many around the world celebrated the new year with bells and whistles, champagne, and fireworks. In Japan on the other hand, the New Year’s festivities are more about connecting with nature, getting in touch with the past, preserving tradition, eating meaningful food, and enjoy the majesty of nature. It is a serene and discrete way to welcome the year ahead and an experience I am fortunate to have live through. Visiting the shrines at Fujinomiya and Ise, eating a delightful Osechi-Ryori with loved ones, and witnessing the first sunrise of the year over the Pacific Ocean, are all unforgettable experiences that can only be a great sign of things to come in the year that begins. So in the words of the japanese “Akimashite Omedetou Gozaimasu”. Driving along Highway 10 in Ontario, Canada, one is sure to come across some of the most beautiful scenery in the world. During the summer as the sun sets, the bright colours of the fields come alive and create the perfect backdrop for nature photography. After 15 years of living in Canada, I figured it was finally time to grab my backpack and my camera and head out to the East Coast of this vast and beautiful land. For some time now, I have been determined to get out of the comfort zone – Ontario and explore the many other to-be-discovered places that the land of the Maple Leaf and the Moose has to offer. With the car all packed-up and ready to go, my girlfriend (traveling confidant) and I embarked on a week-long road trip to the east coast…final destination, Prince Edward Island (PEI). With our expectations high, our minds imagining dishes full of oysters and fresh lobsters, and our butts unprepared for 2 days of driving, we were set to experience the PEI way of life. From the moment we got on the Confederation Bridge, I knew we were in for quite a treat. Crossing the Abegweit Passage onto the Island, felt like entering a faraway and imaginary place. But there was nothing imaginary about were we had arrived…PEI was now real. I loved the freshness in the air and all the greenery that surrounded us. You read correctly…GREENERY! Not only is PEI surrounded by water but it is also full of hilly fields and lots of agriculture. On the first day on the Island we headed straight to the beach at Rice Point to check off “clam digging” from our to-do list. At Rice Point we confirmed why PEI is recognized for its red sand and long beaches. As the tide pulled back, it gave way to the best spot on the beach to catch dinner. A dip in salty waters and a couple of hours later….a dozen clams ready for dinner! The tide started to rise and we had just enough time to head back to safety as the red sand disappeared back into the ocean. The day activities also included a quick visit around Charlottetown to get a refresher on canadian history and the first settlements back in the day, and a drive around 9-mile Creek where we discovered that life as an Islander has a lot to do with working on the land and being self-sustainable. For the second day, our friend and local tour guide, Natalie took us to the Penderosa Cottages (www.penderosacottages.ca) for a glimpse of the North Shore way of life. On the way to the North Shore we had to stop at the birth place of Anne of Green Gables and visit L.M’s Montgomery’s home. You definitely feel like you are a part of the story when driving through the hills and creeks. At the cottages we had the pleasure of meeting the Pendergasts, a very sweet couple and the proud Islanders who have made the Penderosa land what it is today. We couldn’t leave this land without some apple picking, swimming in the Atlantic ocean, and cooking up fresh lobster and oysters bought straight from a local fisherman near by. As our stay on PEI came to an end, I could not help it and felt a bit nostalgic. This is definitely one of the most beautiful places I have visited in the world and one to which I will go back. If you are thinking about making this trip I highly recommend taking more time off then we did and stay for at least a full week. Two days was not enough to see everything this island has to offer. Ever had a moment where you sat and wondered…”what the heck am I gonna do on my day off work?”? Several ideas might have come up in your head; tackle the pile of laundry colonizing your bedroom, finally clean the bathtub, pay some past due bills and eventually go shopping, head down to the nearest swimming pool and work on the tan, or simply sit on the couch and catch up on some reruns. I recently found myself in this exact situation and, after thinking it over, I decided I was going to take full advantage of my day off by making a 1-day road trip. Destination: Prince Edward County, Ontario, Canada. I heard from friends about the beauty that P.E.C. has to offer; so I had some good expectations set in my mind. With my girlfriend, we planned to checkout some wineries, go for a dip at the Sand Banks Provincial Park, and take a some photos along the way. The trip was not exactly as we planned but it definitely exceeded our expectations. We started at the Norman Hardie Winery where we stumbled upon some delicious and very refreshing white-Chardonnay and Riesling, and a very friendly sommelier named Lucie. As per Lucie’s suggestion we skipped the dip at the Sand Banks and, instead, headed over to a public yet secluded beach…such a great call! We had the whole beach pretty much to ourselves and enjoyed a dip in warm, clear blue water for as long as our fingers began to wrinkle! And yes, believe it or not, you can find amazing swimming spots in Lake Ontario. For the rest of the day we drove around the County, enjoying the landscapes, exploring the hidden roads, and discovering the magic that this land has to offer. Great wine, beautiful beaches, colourful and lively agriculture, and amazing people. I now have a new place on my list of favourite destinations in Ontario. I also have a new alternative for my next day off. So if you are ever in the area, do take the time and visit Prince Edward County, you will not be dissapointed!